Medication information about generic Glucophage Important information about usage, risks and possible side-effects..
Possible Uses of Glucophage: This medicine is a biguanide used to treat diabetes mellitus ( sugar diabetes) in patients who may or may not also require insulin. Before using Glucophage: WARNING: Metformin can cause a condition called lactic acidosis. Though occurring rarely, lactic acidosis can be fatal. 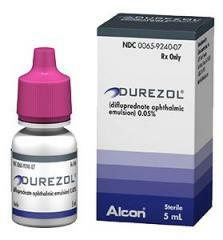 Stop using this drug and seek immediate medical help if you develop any of the following symptoms of lactic acidosis: unusual tiredness ( fatigue), weakness, or stomach discomfort; muscle pain, breathing trouble; feeling cold ( low body temperature), dizzy or lightheaded; or a slow or irregular heartbeat. Lactic acidosis is more likely to occur in patients who: have heart failure, kidney or liver problems; are elderly; use alcohol excessively; are seriously dehydrated ( lack body fluids); will undergo x-ray procedures that require an injectable contrast drug; will have surgery; develop a serious infection, heart attack or stroke; are over 80 years of age and have not had kidney and liver tests. Some medicines or medical conditions may interact with this medicine. INFORM YOUR DOCTOR OR PHARMACIST of all prescription and over-the-counter medicine that you are taking. ADDITIONAL MONITORING OF YOUR DOSE OR CONDITION may be needed if you are taking calcium channel blockers ( e.g., nifedipine). Inform your doctor of any other medical conditions including liver disease, narrowing of the intestines ( stricture), allergies, pregnancy, or breast-feeding. 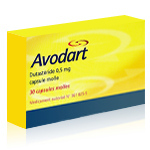 USE OF THIS MEDICINE IS NOT RECOMMENDED if you have a history of acidosis, kidney disease, or congestive heart failure. Contact your doctor or pharmacist if you have any questions or concerns about taking this medicine. How to take Glucophage: Follow the directions for using this medicine provided by your doctor. SWALLOW WHOLE. Do not break, crush, or chew before swallowing. TAKE THIS MEDICINE with food or milk. TAKE THIS MEDICINE WITH a full glass of water. STORE THIS MEDICINE at room temperature, away from heat and light. CONTINUE TO TAKE THIS MEDICINE even if you feel well. Do not miss any doses. . Do NOT take 2 doses at once. Precautions When Using Glucophage: DO NOT EXCEED THE RECOMMENDED DOSE without checking with your doctor. FOLLOW THE DIETARY PLAN provided by your doctor. Inactive parts of the drug may be passed in your stool as a harmless soft mass that may look like the original tablet. This is normal for this drug. KEEP ALL DOCTOR AND LABORATORY APPOINTMENTS while you are using this medicine. BEFORE YOU HAVE ANY MEDICAL OR DENTAL TREATMENTS, EMERGENCY CARE, LABORATORY TESTS, OR SURGERY, tell the doctor or dentist that you are using this medicine. LIMIT ALCOHOL INTAKE while using this medicine. BEFORE YOU BEGIN TAKING ANY NEW MEDICINE, either prescription or over-the-counter, check with your doctor or pharmacist. FOR WOMEN: IF YOU PLAN ON BECOMING PREGNANT, discuss with your doctor the benefits and risks of using this medicine during pregnancy. IT IS UNKNOWN IF THIS MEDICINE IS EXCRETED in breast milk. DO NOT BREAST-FEED while taking this medicine. Side Effects of Glucophage: SIDE EFFECTS, that may go away during treatment, include metallic taste in mouth, nausea, vomiting, diarrhea, loss of appetite, or indigestion. If they continue or are bothersome, check with your doctor. Inactive parts of this drug may be passed into your stool as a harmless soft mass that may look like the original tablet. This is normal for this drug. CONTACT YOUR DOCTOR IMMEDIATELY if you experience fast, deep breathing; vomiting; stomach discomfort; weakness; exhaustion; muscle pain; dizziness or lightheadedness; or irregular or slow heartbeat. If you notice other effects not listed above, contact your doctor, nurse, or pharmacist. Drug Interactions of Glucophage: Drug interactions can result in unwanted side effects or prevent a medicine from doing its job.Inform your doctor about all the medicines you take with and without a prescription. Storage of Glucophage: Store at room temperature away from sunlight and moisture. Keep this and all medications out of the reach of children. Other Information of Glucophage: FOR BEST RESULTS, this medicine should be used along with exercise, a low-cholesterol/low-fat diet, and a weight loss program if you are overweight. Consult with your doctor. DO NOT SHARE THIS MEDICINE with others for whom it was not prescribed. DO NOT USE THIS MEDICINE for other health conditions. KEEP THIS MEDICINE out of the reach of children and pets. IF USING THIS MEDICINE FOR AN EXTENDED PERIOD OF TIME, obtain refills before your supply runs out.